This weeks focal point: Whether you are a fledgling organization or a veteran in your field, measuring and incentivizing employee performance in the 21st Century can be a sticky subject. If a system of review and incentives is not thoughtfully implemented to ensure it is actually doing the job of motivating your employees, it can quickly serve to antagonize them. You must consider how the workplace is changing post-recession, with a growing number of millennials who are not motivated by the same incentives as previous generations. Many of them have seen their parents lose their jobs, their retirements, and sometimes their homes, due to investing their entire careers and livelihoods in a single organization. Therefore, today’s employers are less likely to gain their employee’s trust, buy-in, and loyalty through traditional monetary incentives. Additionally, what makes an employee valuable today (innovation, creativity, collaboration) aren’t the same factors that were most valued in the past (punctuality, accuracy, ability to take orders). Therefore, you must ensure your performance metrics are actually measuring what makes the most positive impact on your organization. Sometimes, the contribution of the most vital employees in an organization might be difficult to accurately measure. When determining what type of system to implement and what kind of measures to use, you should begin by thinking about what kind of organization you want to be. That organization may not (and probably should not) be the organization you are today. Growing and evolving is integral to survival in today’s market. Where are you going? What do you hope to achieve? What kind of organizational culture do you want to foster? Once you have a good grasp on who you want to be as an organization, then you can determine what your employees actually do to help you get there and beyond. Whether you base your employee’s performance measures on job descriptions or additional objectives, you must take the time to ensure these measures align with the organization you are trying to become. 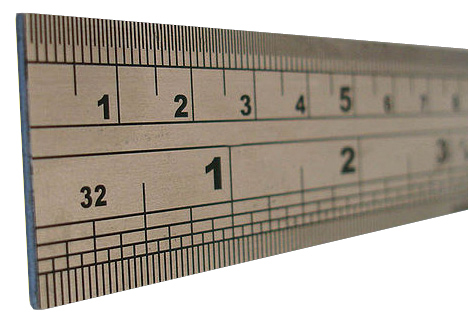 The Fulcrum: Determine whether or not it is time to rethink these measures. If so, involving your employees in that process is key to ensuring their buy-in to the organization’s vision of its future.